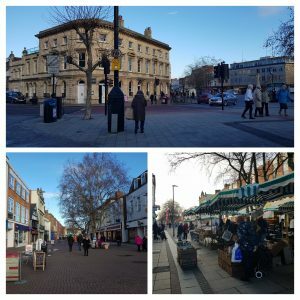 My first destination was the High Street, where I strolled along, enjoying the view, the farmers market and ducked into a few stores in the little alleys branching off the main street. I had a little walk in the Vivary park, enjoying the antics of the squirrels who were having fun in the morning sunshine! 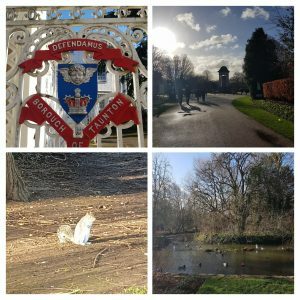 My experiences at Vivary park, including my meeting with Mr. Squirrel and the ducks! 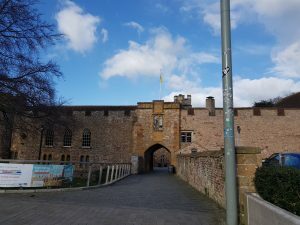 Then after a little snack at the Greggs, I visited the place I really wanted to see – the Museum of Somerset, which is located in the Taunton Castle. The Taunton Castle has very old origins, dating back to the Anglo-Saxons. I really love museums and cannot miss a chance to see one! This one was truly exquisite, with lots of local fossils, cultural artifacts, regional stories, historical items through the ages and lots of information! 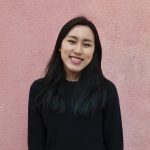 There was so much to know about the local history, from the geological development of Somerset to rebellions that happened here and the cultural events that took place, like how the fashion changed through time. My favorite place in the Museum! 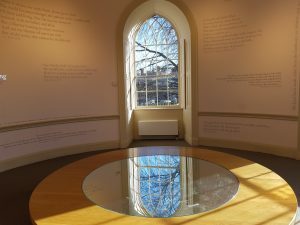 My favourite place was a circular room on the third floor, with a massive mirror on a circular table, reflecting the room. There were quotes from people related to Somerset all over the walls, and some of them were truly hilarious! I spent quite a lot of time there, grinning at the quotes! After I’d had my fill of the museum, the gift shop and snapping lots of photos of the views around the castle, it was time for lunch at Augustus. It was a charming little restaurant, tucked away near St. James Church. 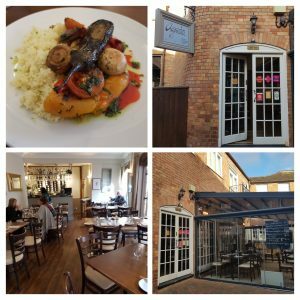 I quite enjoyed my Mediterranean baked vegetables with couscous, while chatting away at intervals with the really nice waiter. Then, I ambled along, ending up near the River Tone, which was beautiful. 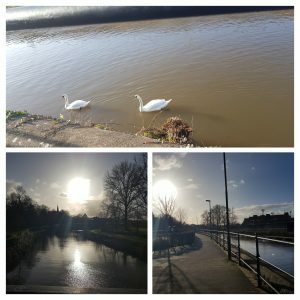 I saw a couple of swans gliding along serenely and got really excited! I really love to look at swans! It was really refreshing to walk about in the sunshine, living in the moment and just focusing on the lovely views. I had time for one last stop – Brendon Books. My love for books far exceeds my love for museums so I just had to visit this big bookstore. I spent a lot less time there than I would have liked (I’m not sure my companions would agree!) but I did emerge fifteen minutes later with a book I got at a really cheap price! Then it was time to get back to Exeter. I really enjoyed my day off in Taunton and relished being a tourist for the day. 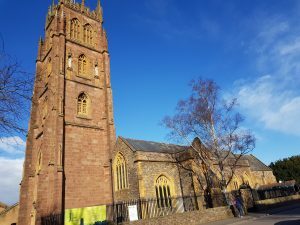 Taunton is a really charming place with nice views, perfect for having a fun time!